My client, S, brought me two stunning quilts to try my beginner magic on. I'm so thankful for her trust in me. This is the one aspect I know I will love about longarm quilting - I get to see so many beautiful quilts! This one in beautiful neutrals/blue was done using freehand swirls and spirals. See? All of that white board practice works!!! I purposely used a variety of sizes, small, medium and large to add interest. Thank you, S, for trusting me with this project. I was nervous, but I loved quilting for you! This shot represents everything I love about colour and graphic quilts. I love this. I love that my name is shouted out in this photo in grand colour. Only, I live my life so not like this at all. My house is neutrals, I wear black and white....and like to blend in and not stand out. I love the creativity of my friend....she gets me the coolest gifts. She has the gift of finding unusual things, like these note cards with my name featured all in different photos. If someone were to ask me to stay behind in the Caribbean and begin a new life with my family there...I would consider it very seriously. Why does everyone want the perfect photo of a group of kids? The hilarity of reality is much much better. 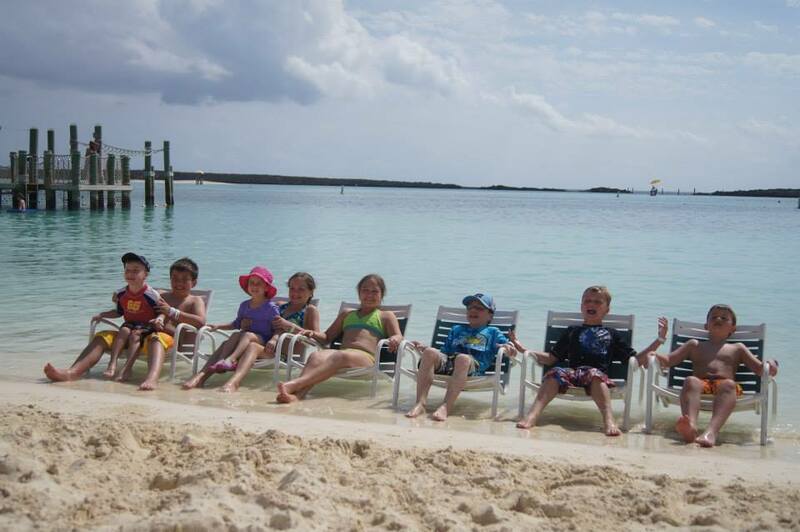 It's amazing that 10 cousins (2 babies not shown in this photo) can get along so well on a vacation with no strife or upset whatsoever. .....except when it was time to separate and go home to 4 different cities across the US and Canada. 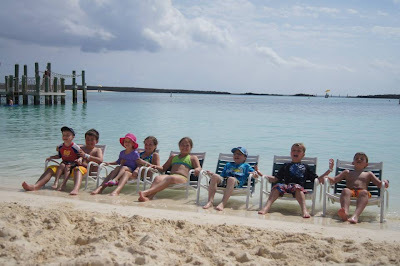 Our vacation was a 7 day Caribbean Cruise with the family. A family reunion of sorts with my husband's side of the family. 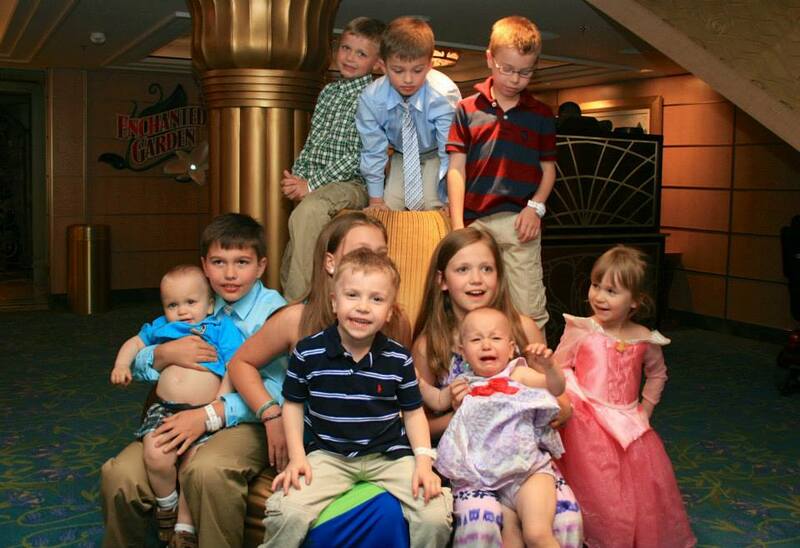 10 little ones, 10 big ones...grandparents surrounded by all of their grandchildren. A dream come true for them. It was really really good. 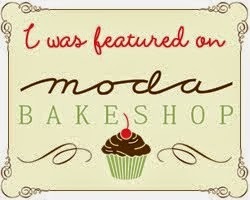 I have a new tutorial up at Moda Bake Shop. It is a baby quilt that is quick and easy using the fabric line Boho by Urban Chiks. 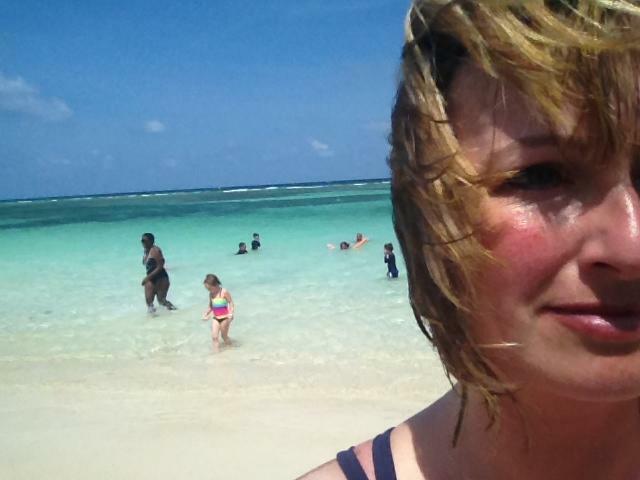 I just got back from a family reunion/cruise to the Caribbean and trying to catch up on everything....have lots to post! Oh boy.... these were found in the 99cent bin. I just HAD to have them....so I could blog about them. And now I want to apply another. Do you think hands and toes would be too much? Is this taking things too far???? I am going back for more tomorrow. You too can own some - they are called Sally Hanson Salon Effects in 510 - Mod About You. really not sure why i have to do this...but doing it anyway. This is not my idea, I've read about it in several places, but not sure if my quilting friends know about this trick. Have you ever wondered if a certain style of quilting would work on your quilt? Now you can rehearse your ideas directly on your quilt - with a dry erase marker and vinyl table cloth. Purchase - a clear vinyl table cloth. Mine was called a tablecloth protector, purchased from Walmart for $2.00. Yes, look who stole the label when I was busy organizing the ideas for this post. sigh. Tape the edges, like a fold over binding - I used masking tape, you can use duct tape as well. This is very very very important. VERY IMPORTANT. Because your vinyl is clear, when you are sketching on the vinyl you want to see the edge so you don't accidentally sketch over onto your quilt! Your vinyl may have a few wrinkles in it, but over time, it will flatten out nicely. Lay your vinyl over top of your quilt and sketch your ideas onto the vinyl. If you don't like your plan, it's easy to erase - with a cloth. Isn't that the coolest thing??? Another idea - if you see a design you like in a book, etc. Do the same thing...trace it onto the vinyl and place the auditioned pattern vinyl onto your quilt. I have some pantographs that I have organized in a binder. A pantograph is a long pre printed pattern that you trace with a laser light...while your machine stitches. I organized sample copies of the pantographs into my binder and put them in sheet protectors. I traced the sheet protector with a marker and then if I need to audition the pattern on a quilt, I slide the paper copy out...and just use my clear sheet protector to try it out on the fabric....like so. Again, these are ideas that have been in use for quite some time, but thought these would be really helpful ideas for domestic machine quilters as well! Have you ever tried this? What do you think? ...or at least better than before. I practice every night on my whiteboard....I focus on only one shape/design per session, and practice a path how to stitch, if I get stuck somewhere - how to get out, etc. and this week I have been practicing more on quilts. I volunteered to do some quilting with Victoria's Quilts - a charity that provides comfort quilts to people going through cancer treatment. Longarm quilting has been slow the past 2 weeks as I finish up designing, piecing and writing a tutorial for a quilt. It feels so good to get back on the longarm - I absolutely love it.